The other day, I was reading this amazing post by Millicent in which she talks about a lot of stuff. One of which was supporting friends and other bloggers – I’ve been kind of terrible at this lately, but I’m working on it. 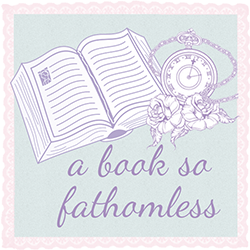 I don’t often get the time (or have the energy) to talk about every single amazing blog post I read, but I have taken to sharing posts on the A Book SoFathomless Facebook page that I really enjoyed so if you’re interested in seeing what I’m interested in then I’ve linked that. We don’t really share our own stuff there, but I suppose we probably should start that. Anyway, in her post Millicent also talked about blogging niches. We are quite obviously a book blog with some other stuff thrown on the side. Now, we’re still going to be a book blog but we’re hopefully going to be branching out a little. We’ve been running this blog for almost three years, and we’ve talked pretty much exclusively about Young Adult books. We still love YA and we’ll still being blogging about it, but we’ll be talking about some other stuff too and by we, I mean pretty much just me. I don’t think this is something I’ve ever mentioned but I’m one of those weird people who actually really enjoys in depth responses to book. Not so much a review, but sort of like a cross between an essay and an article. I’m studying two literature units at University this semester and I want to be able to share with you some of the interesting things I’m learning about. By this I mean, I will be sharing stuff with you. These will be sort of like a mixture between a review/opinion thing and a sort of informal essay. I understand that not everyone will be interested in this and I totally understand if you don’t want to read them, I just thought I’d give you all a bit of a warning. Basically, Millicent’s post always make me feel really inspired to bring more of what I’m passionate about to the blog and to not worry about what anyone else thinks. Hence the title of this post. With that, I’m going to return to the three million readings I was doing before this post distracted me.